While browsing the coupon website, I came across this recipe. 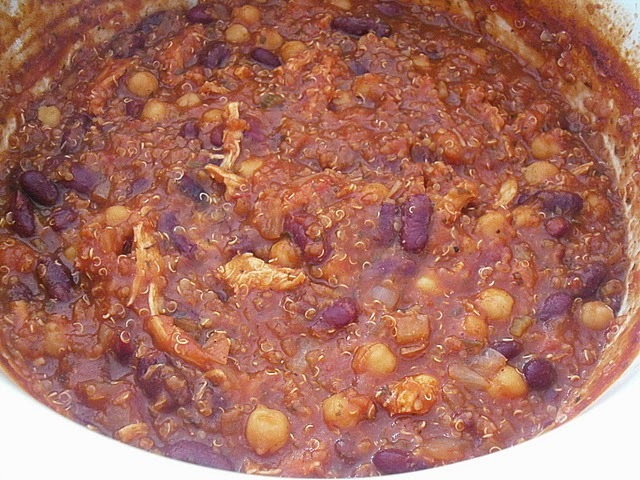 A chili recipe that uses a slow cooker and quinoa. As you know, I love love the convenience of a slow cooker so this recipe hit the spot. Furthermore, I have about 3/4 cup of quinoa left that I wasn't sure what to do with it, if I use it to substitute rice, it would not be enough, it has to mix with something more substance to make it into a meal. Hence this recipe is great as I have some canned beans in my pantry, quinoa, onion, chicken breast and spices in my cabinet. Just put all in a slow cooker and the dinner is ready! This is just an idea, you can play with your own recipe! Recipe idea credited to Queenbee Coupons. 3/4 cup quinoa, rinse under running water on a sieve under water is cleared, about 1 minute. In a 4-quart slow cooker, add in the chopped onion, water, pasta sauce, kidney and garbanzo beans, quinoa, and all the spices. Give it a stir. Then, put in the chicken breast in the middle. Turn it to high for 3-4 hours. Take out the chicken breast, shred it and put it back and give it a stir. Turn it to warm. Serve with cheese. Great use of leftover quinoa! 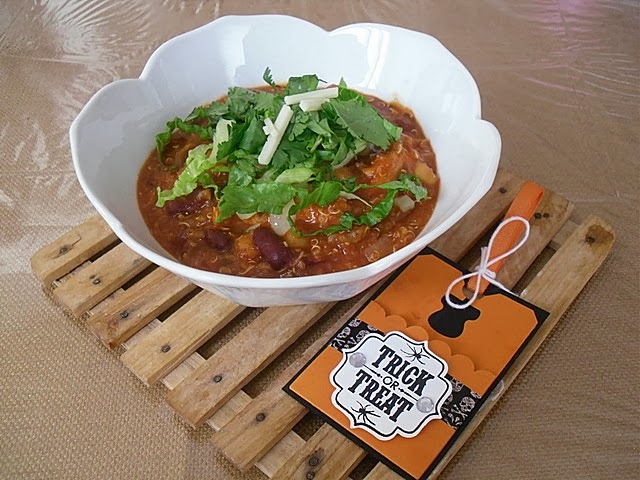 I think you nailed this easy one pot chili quinoa! I'm going to take this idea for sure. It's getting warmer here but that will not stop me from having chill! Thanks! I'm always looking for new ways to enjoy quinoa.